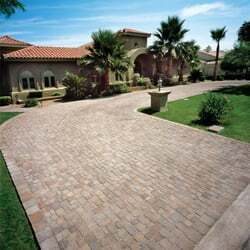 Paver stone driveways are certainly not inexpensive. If you have this type of driveway, it came at a pretty significant investment. But man... they look great right?! It's incumbent on you to make sure protect this investment. So how does this relate to dumpsters??? 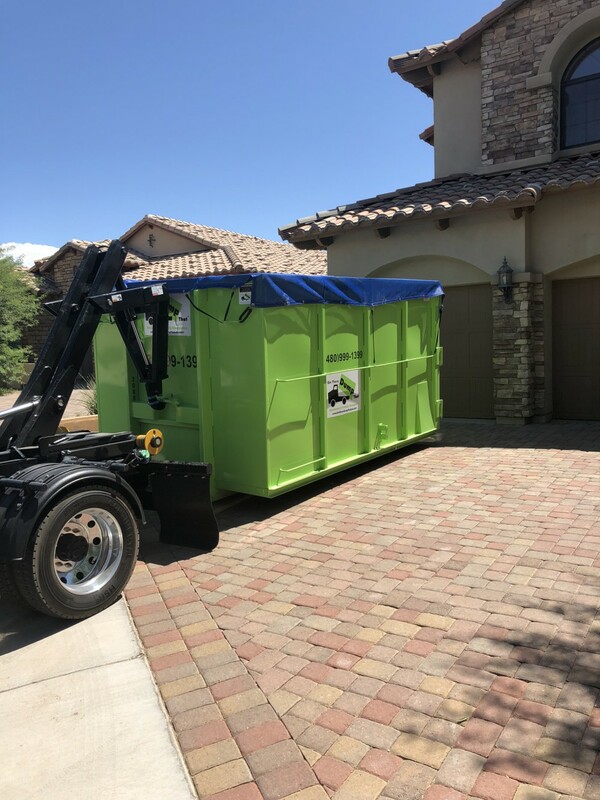 Believe it or not, if you do not choose the right dumpster rental company, your driveway may be prone to dumpster scratches. After years of working in transportation and logistics, we were given the opportunity to become a part of the Bin There Dump That family and we were excited to join the team. It was an easy decision to make. They’ve always put customer service and respect for the homeowner’s property first and those are values we share. Hiring a contractor or any type of service can be a stressful experience for the homeowner. Stories of poor service and damage to property aren’t uncommon. It shouldn’t be like that and we’ve always made it a priority to make sure you don’t have that kind of experience with us. We’re committed to protecting your property and providing great customer service. Here's what makes us HOA-Approved and how we'll protect your driveway. Bin There Dump That isn’t just another dumpster delivery service. Many of our customers are homeowners and that’s by design. We’ve made it a priority to develop a service that fits the needs of the homeowner and provides the service details they expect. For contractors, they have a responsibility to protect their clients' properties; this is why they trust Bin There Dump That for their waste disposal. Our trucks are compact and designed to easily fit into residential driveways. We use a hydraulic lift system to place the bin in your driveway and that allows us to place it carefully and gently in your driveway. We offer a variety of dumpster sizes and our goal is to provide you with the right one for the right job. Our goal isn’t to upsell you. At the end of the day, we want you to be happy with every aspect of your experience until we pack up the bin on our truck loaded with waste and remove it from your property. If you can’t wait to recommend us to your friends and neighbors, we’ve done our job. It might seem acceptable to expect some minor scratches on your driveway from a heavy dumpster, but it’s not. Our commitment to you isn’t just great customer service – we also think it’s important to respect your property. That means leaving it in the same shape it was in before we arrived. This may seem like an ambitious goal, but we have the track record to prove that it’s achievable. As we’ve already touched upon our unique truck and bin designs is where it all starts. Our trucks are chosen with residential dumpster delivery in mind; the goal is to be HOA-Approved. They easily fit in your driveway and that reduces the chances of an awkward placement that may damage your property. The hydraulic system we use to place the bin gently lowers it without any jarring movements. As confident as we are in the quality of our equipment, we still take extra care to make sure that the chances of damaging your driveway are small. In East Valley, paver stone driveways are common and while those beautiful interlocking brick designs can be quite appealing, they can easily be damaged if proper care isn’t taken. We’ll never take a chance by placing a bin directly on your driveway. Before our dumpster delivery experts place the bin in your driveway, they place boards down on the area the bin will sit to protect your property. The metal bin will never come in direct contact with those pavers. Our equipment is always in good condition and clean – we take the same pride in our property as you do in yours. No matter how carefully we place the bin or how careful we are when we pick it up there’s always a good chance that some debris will be left behind. We’re not comfortable with that. It would be disappointing if after all that care to protect your property a wayward nail was left behind to puncture a car tire. For us, that would be a failure on our part. When we leave your driveway we want it to be exactly as it was when we arrived. That’s why we take the extra step of sweeping up after we’ve loaded the bin back on our truck. If we’ve done our job right, there will be no evidence that our bin was ever in your driveway. Our Dumpster Delivery Experts go through extensive and ongoing training to make sure they know and follow our expectations. They’re as committed to the protection of your property as we are. That’s how Bin There Dump That makes sure your property is always left in pristine condition when we leave. It’s our commitment to you.